The first time you start the Worcester Wave a lot of different things connect automatically. The only thing that doesn’t really connect automatically is the wifi capabilities but it’s easy enough to do. A list of networks automatically appear on the screen and you can select one from there. Select the home network you use and input the password using the keys. You can use the shift key to use capital letters. If you want to use the boiler offline and not connect it to your home network just press the back button on the network select screen. When you use offline mode you can only use the offline functions of the boiler. There are two main ways to operate the Worcester Wave. The thermostat itself has a touchscreen you can operate. The touchscreen only has a limited amount of uses though. The best way to operate the Wave is by using the app on your smartphone. There’s still plenty of things you can do through the touchscreen though. You can change the temperature using three different motions. The first motion is to just swipe up or down to turn the temperature up or down. You can also tap the screen above or below the temperature on the screen to turn it up or down. Lastly you can also press down above or below the temperature instead of just tapping. There is also a time programme to set the boiler to alter the temperature based on the time, but that is only available through the app. If you’re using a combi boiler then you have to enable the boiler preheat function to let the Wave control the hot water. The guide to your boiler should tell you how to do that. Using a combi boiler also means that you can only access the hot water controls via the app. You can temporarily adjust the hot water time programme by tapping the “Time programme” button twice to enter the timed function. From there tap the “HW Timed” button to turn the hot water on temporarily, or tap the “HW Not Timed” to switch the hot water off. You can also press the back button to go back to the previous screen, and that button works on any inner menu. To turn the water on or off permanently tap the manual button, which is the hand icon, twice to enter that function. Tap either the “HW On” button to turn it on permanently, or “HW Off” to turn the hot water off permanently. Once again, press back to go back and remember that the hot water will be left on permanently. You have to turn it on to the time programme function to turn back to temporary hot water. Outside of these basic functions there are a number of different functions available through the Worcester Wave app. 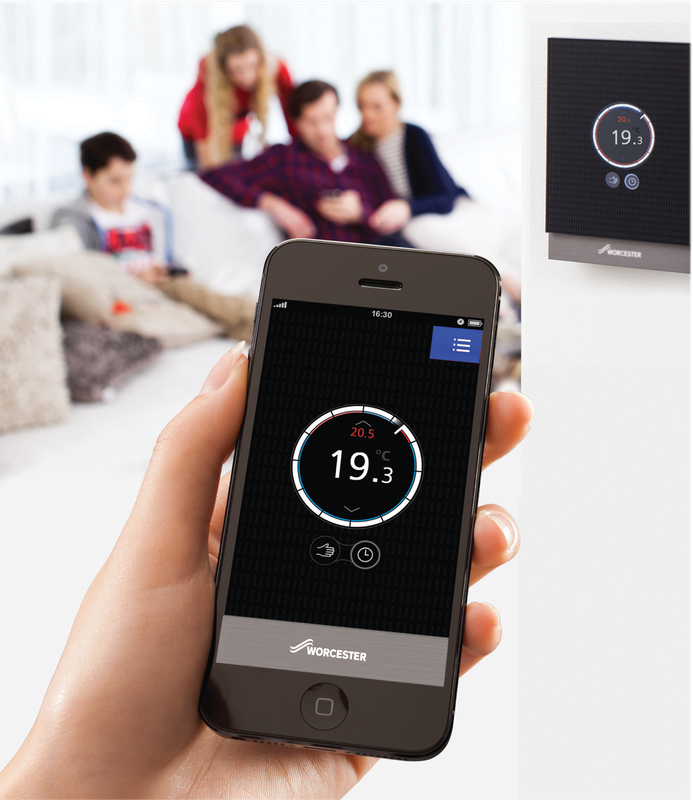 Through that app you can change the central heating and hot water, and do some other different tasks. There are plenty of instructional videos on the Worcester Wave website to help you become familiar with these functions.